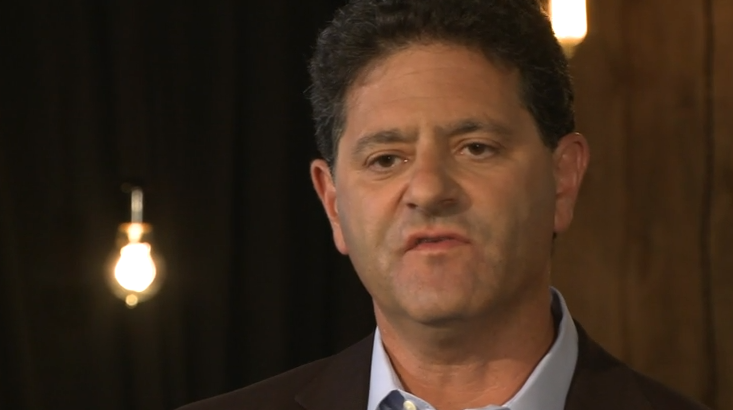 Millions of Americans are about to get a raise and billionaire Nick Hanauer is thrilled. If you thought last week was a great one for progressives and America then you will be giddy over #overtime. Through his TED talks, articles and artful trolling, Hanauer has become famous as a double agent for the 99 percent embedded in the richest .01 percent of America that has sucked up nearly all the gains of recovery. And in recent months, he’s championed raising the overtime threshold, a little-known protection for salaried workers that he says is as important to the middle class as the minimum wage is to the working poor. And just like the minimum wage, this standard has fallen to historically low levels. In 1975, more than 65 percent of salaried American workers earned time-and-a-half pay for every hour worked over 40 hours a week. Not because capitalists back then were more generous, but because it was the law. It still is the law, except that the value of the threshold for overtime pay—the salary level at which employers are required to pay overtime—has been allowed to erode to less than the poverty line for a family of four today. Only workers earning an annual income of under $23,660 qualify for mandatory overtime. You know many people like that? Probably not. By 2013, just 11 percent of salaried workers qualified for overtime pay, according to a report published by the Economic Policy Institute. And so business owners like me have been able to make the other 89 percent of you work unlimited overtime hours for no additional pay at all. There are no silver bullets in an economy that has seen growth slow and inequality skyrocket for four decades. But this policy takes on the greatest weaknesses in our economy — wage growth and a soft labor market. Millions will get a raise and employers will no longer be able to rope two people into doing the job of three for unconscionably low wages. Hanauer means to do good. But his arguments are even more compelling because he also cares about making money. This makes him eminently relatable — not only to his fellow plutocrats but most Americans. There’s a reason that America would rather have a discussion about “mobility” rather than our actual problem — inequality caused by runaway accumulation of wealth by the the richest. And that reason is simple: most of us need more money and want more money. And we’ve been trained by decades of expert conservative propaganda that any attempt to stop distortions in our economy will make us poorer and prove that we are lazy. So instead of reverting to the sort of smart decisions that built an economy that for decades saw most of the gains go to workers, we’re drowning in the chimera of “personal responsibility,” a ruse to sell us into corporate servitude and massive transfers of wealth to the people who need it least. Barry Ritholtz — a successful investor and an old-school-moderate-Republican-turned-left-leaning-centrist-by-reality — had Hanauer as a guest on a recent episode of his excellent podcast Masters of Business. You’ll hear Hanauer, the unabashed venture capitalist eagerly explaining how he built on his family’s business with a series of huge successes including becoming the first outside investor in Amazon. And you’ll hear Hanauer, the billionaire who thinks the Obama is too far to the right on labor protections, the billionaire who is warning his fellow plutocrats that the pitchforks are coming for them. At around 23:00, Hanauer gives a distilled explanation of why inequality isn’t just immoral, it’s stupid. He has a great mastery of all the statistics that illuminate how dire the situation is, but he puts them in terms that speak to the people who sign our paychecks. Republicans have sold the lie that what’s good for the richest is good for America. But Hanauer points out that it isn’t even good for the richest. 2. Inequality is systematically starving the richest customer base and threatens capitalism itself. If current trends continue, customers will be as rare as moderate Republicans. 3. Not every rich person is responsible for our problems — but they all could be screwed if they don’t do something about it. A tiny bit of moderation is all that’s needed to avoid this, he says. But the conservative movement’s anti-tax absolutism makes even that tiny bit of moderation nearly impossible to achieve. 4. The economy is an ecosystem and government policies have helped to create this mess. The conservative focus on the individual furthers the myth that government — with all its bridges, schools and tax deductions — doesn’t help you unless you specifically get a check stamped “WELFARE” on it. And it also alienates people from realizing that the great crises of our time — runaway wealth inequality and climate change — are systemic problems that can only be solved by systemic solutions. It’s no coincidence that the trend toward inequality began in the early 1970s with the birth of corporate-dominated Winner-Take-All Politics. But conservatives have a vested interest in pretending this slow-motion disaster is a natural consequences of free markets. Then they won’t have to fix it. But these problems are extremely fixable and to illustrate that Hanauer explains how policy feeds inequality, literally. 5. We shouldn’t be subsidizing billion-dollar companies. Conservatives claim to hate wealth transfers. But our economy explicitly promotes exploitative wages that transfer wealth from the middle class to the working poor. This pisses Hanauer off for a pretty basic reason: He needs customers and he’s sick of his employees subsidizing McDonald’s employees.